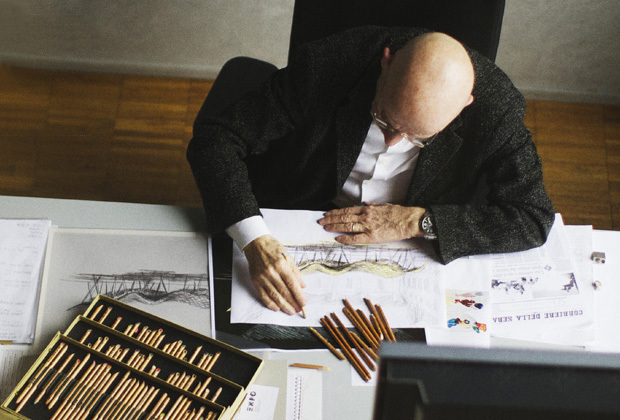 I’m always on the lookout for a series that can inspire me on a more consistent basis, today’s post features world renowned Italian architect and designer Mario Bellini. The short film was produced for Discipline who are a new brand that I’ve not come across before, but they seem to be promoting an interesting array of designs in their online shop, also representing different designers in a more foreword thinking manner. Making the education an important part of the buying process (I certainly agree with them on this). They recently started a new project titled LIVING WITH, which tells the story of inspiring creative individuals and their everyday lives, through the eyes of talented interior photographer Paul Barbera. Paul Barbera is a bit of genius when it comes to photography, he has a natural way of capturing the light with the lens and really pulling you in, in turn making you soak up the atmosphere and feeling. Luckily for us, he’s also very handy when it comes to filming, this shows through in the short below with Mario Bellini, you almost feel like you’re there with him. Discipline made the first episode of the LIVING WITH series on illustrator Liselotte Watkins, and the second episode runs much on the same theme, with Mario describing his artistic vision and the drive of his creative practice. Obviously Mario has many years behind him in the industry, so he knows his stuff, and has collected a variety of cherished objects on his travels. What I found interesting was his quite extraordinary awareness in regards to his relationship with objects through touch, smell and vision, looking to seek out design that illuminates all our senses. This stuck out to me personally as it’s something I’ve been thinking about a lot as well, how something crafted has to be emotionally attached to a human in some way. Whether that be through usage, such as your favourite food in a particular bowl, or a piece of furniture that has shared many experiences with us over a lifetime. All of this counts and definitely creates an ‘aura’. Anyway, I can’t wait to see what else the guys and girls from Discipline will produce in the future, hopefully more videos like this with Paul Barbera, as they’re very exciting to see. I’m positive this series will gain some traction soon, but for now I’ll leave it here for all of you to enjoy.